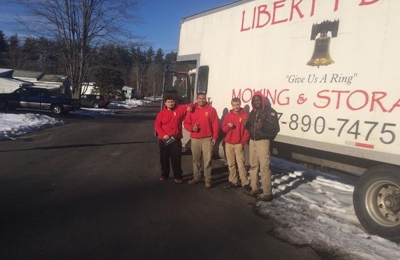 Liberty Bell Moving & Storage hires and trains superior movers in Maine, to provide our customers with quick and efficient moving experience anywhere in Maine.If you looking to hire the best of all the moving companies in maine, call Liberty Bell Moving & Storage. Were the only Maine moving company that has offices throughout the state, which enables us to dispatch movers on demand. I hired Liberty Bell Moving & Storage to move our belongings from South Portland, Maine on 8/24/11. They took some of our things to a storage unit in New Hampshire, and the rest to an apartment we are temporarily renting while we build a house. We have many fragile glass items and the movers ensured all were packed and wrapped properly. They showed up on time, listened to my concerns about certain items and delivered everything--undamaged. Additionally, great customer service, hard workers and communication are three more reasons I will hire Liberty Bell again when we move into our new house. I moved from the Eastern Promenade to the West End of Portland on 8/17/11 using Liberty Bell Moving. 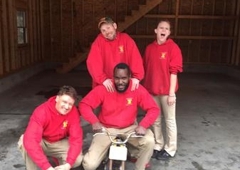 The movers were professional, courteous and very prompt. The whole move took less than 3 hours and nothing was damaged or mishandled. Went better than if I'd done it myself! I would definitely recommend them to a friend and will use them on my next move! This is my 2nd time using Liberty Bell moving and both times was lucky enough to have Kevin move my stuff. Not only does he run the companny but also answers any questions day or night, and moves all my stuff as if it was his own. My first move i spent at least 20 hours doing research finding the cheapest moving companny for what i wanted with the best reviews, and now i never have to do research again. I have reccomended at least 10 friends to use this moving companny and i have never heard even a small complaint, trust me you wont be dissapointed! Liberty Bell moving did a wonderful job with moving a large apartment in Portland Maine to a small apartment in Portland Maine. This was a tight fit, but they made it work. They were on time, very friendly, and efficient. I also utilized their storage facility during this move and got a great rate for using both their storage and movers. Thanks Liberty Bell. The crew was polite, curtious, and friendly. I had many large/valuable items that these gentlemen treated with the upmost care, i would highly recommend them to friends/family. Not to mention they were fast as lightning. Very thankful they made a stressful situation into a relatively nice experience.